What is the biggest misconception about your sleep apnea diagnosis? One-third of patients with a sleep apnea diagnosis also suffered from excessive daytime sleepiness, according to a recent survey. Excessive daytime sleepiness, while it does not sound serious, caused many people to miss out on activities, while also negatively impacting their quality of life. 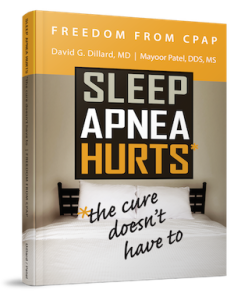 Obstructive sleep apnea (OSA) is often accompanied by excessive daytime sleepiness even after the introduction of a continuous positive airway pressure (CPAP) machine into your lifestyle after diagnosis. To help, let’s take a look at the latest information on excessive daytime sleepiness, sleep apnea and how it might be negatively impacting your life. Excessive daytime sleepiness and sleep apnea can have an impact on your daily life, work performance and personal relationships. According to a recent survey, 17 percent said that their excessive daytime sleepiness impacted them at work. This might include losing or leaving their job and making special arrangements. It might also lead to missing meetings, deadlines or opportunities, such as a promotion or raise. In the last year, 21 percent fell asleep while working or during a meeting and 14 percent have fallen asleep at the wheel–either stopped at a light or while driving. Many patients also said that their sleepiness has a somewhat or very negative impact on their romantic relationships–more than one-third. And, as for relationships with friends, 21 percent were negatively impacted and 14 percent with their children. Sleep apnea doesn’t just affect you as a person, it can impact your work and relationships too. Getting the treatment you need is important. Contact Dr. Patel at Craniofacial Pain & Dental Sleep Center of Georgia for more information today.